Mike is a graduate from a Bachelor of Maori Art (painting). He works in mixed media with a passion for sculpture and carving. 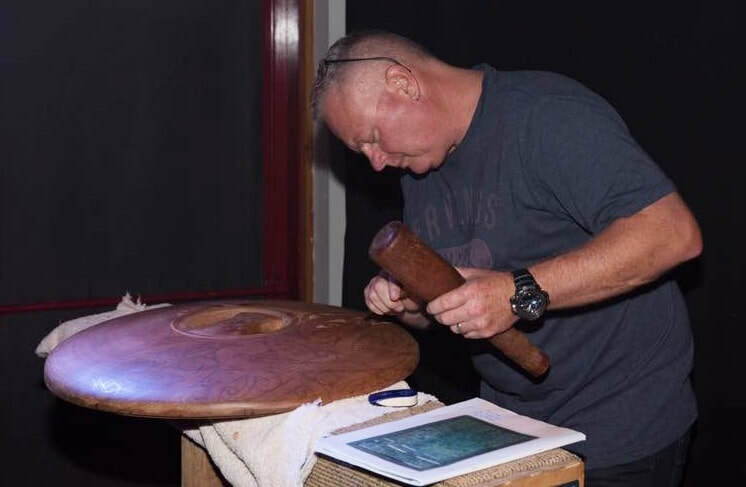 Mike was born and bred in Whangarei and has been a stay at home dad allowing him to complete his art projects in a purpose built studio at home. 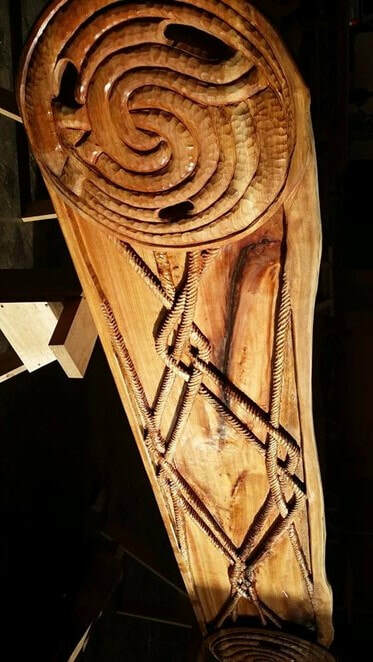 Mike has shown his works in group exhibitions in 2015, 2016 and 2017 as well as being involved in the carving of the inside of the Northtec Marae in 2015 and carving of pou for the Kawhea harbour in 2016. Mike is an emerging artist who works with integrity and careful planning, he uses rangahau(research) as the basis for his works. He is a spiritual artist who is able to capture nature within his artform. See Mike at the 2018 Arts Trail.